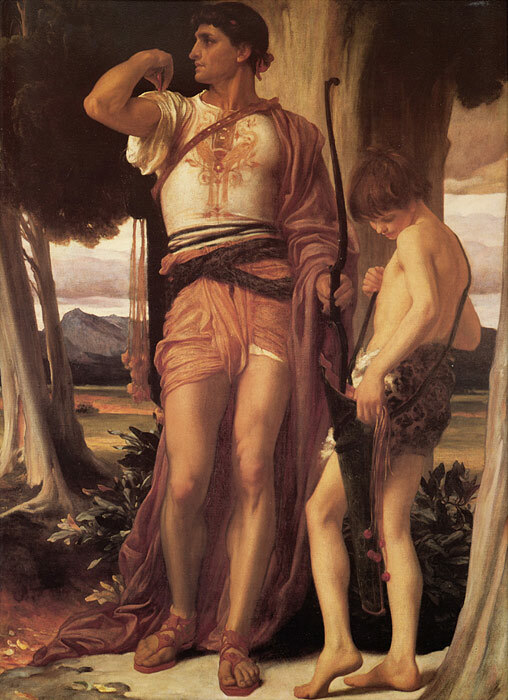 'Perseus and Andromeda', 1892, set on the rocky coast of Donegal near Malin Head and and Jonathans Token to David , 1868 are fusion of all Leighton's mature interests, grand heroic subjects, with superbly modulated colour. SPECIAL NOTE : The painter will make the reproduction as close to the original oil painting as possible. If you want your painting to alter from this likeness, please email us and " Jonathans Token to David, c.1868 " will be reproduced according to your special requirements.